Karina's Kreations: More Itty Bitty Bits! The Itty Bitty Bits stamp set is fun to create cards with. There's 9 shapes to choose from along with 3 different punches. 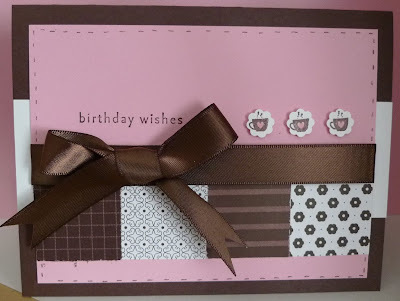 I used the coffee cup stamp today and colored in the center with a Pretty in Pink Stampin' Write Marker and punched out the image with the flower shape. This card is oh so sweet! Great job Karina!